Nippersink is the perfect spot for that "Not so far from Home" weekend get away or maybe a week long Family Reunion. We have 46 newly remodeled hotel rooms on site, two large banquet facilities and a kitchen. Since 1922, Nippersink Golf & Resort has been a Midwest premier golf destination. With its rolling terrain and mature oak trees, this championship golf course was designed by U.S. Open winner James Foulis Jr.
Our course is designed for the average golfer and a serious challenge for the professional from the championship tees. 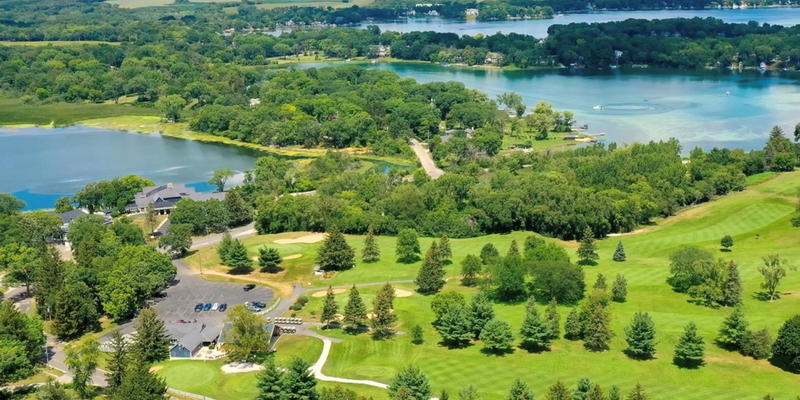 Located 10 miles southeast of Lake Geneva off of Highways 12 and P.
Contact Nippersink Golf & Resort at 262-279-5281 for more information and details on holding a golf outing at the course. Contact Nippersink Golf & Resort at 262-279-5281 for onsite or nearby dining options. This profile was last updated on 01/08/2018 and has been viewed 30,749 times.